At Frontier Basement Systems, our solution to block foundation walls in a crawl space is the WallCap Block Wall System. This plastic covering seals off the top of your block wall, keeping humidity out. And because it's clear, your walls will still be visible for termite and pest inspectors. To ensure that WallCap will never detach from your walls, it is attached mechanically to the concrete with plastic pegs. A polymer seal is used to adhere the plastic to the concrete to complete the vapor barrier protection. 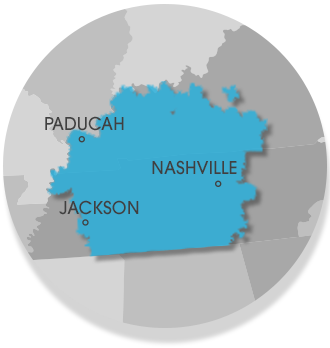 We service Clarksville, Nashville, Jackson, Owensboro, Murfreesboro, Bowling Green, Philpot, Utica, Fayetteville, Marion, Franklin, Leitchfield, Paducah, Mcminnville, Hartford, Antioch, Shelbyville and many nearby areas in Tennessee and Kentucky.